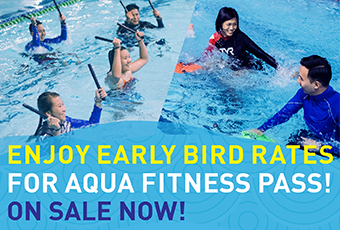 With fun, sports, music, entertainment rolled into one, experience an exciting destination like no other at the Singapore Sports Hub! From exercise passes and workout classes to show tickets and mid-season offers, save big with these exclusive discounts and promotions. 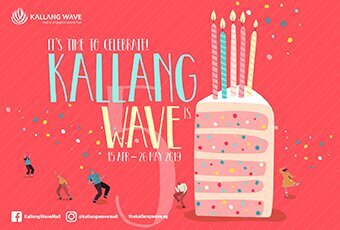 Kallang Wave is 5 and we welcome you to join us on this special occasion! From 15 Apr to 26 May 2019, redeem a $5 Kallang Wave Mall voucher when you spend $50* with combined receipts from 1 F&B outlet, 1 non-F&B outlet and FairPrice Xtra. While stocks lasts. T&Cs apply, visit bit.ly/KallangWaveMall for more details. Surf into fitness this new year! Whether you’re interested in improving stability & body control, burning fat, building lean muscle or achieving total body fitness, there is a SURFSET Fitness programme for you. Join us today! At 8 years old, children are at the full bloom of their childhood, where they develop their sense of self-identity through their preferences, talents and relationships. 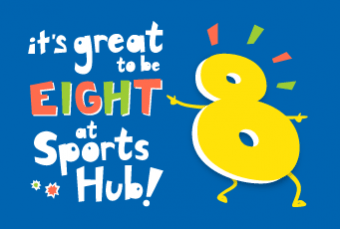 To help them develop an active lifestyle, we’re extending a pair of FREE tickets to 8-year-olds and their accompanying parent to the events listed here, and many more to come! 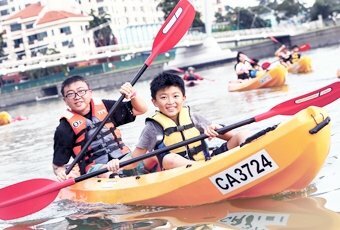 If you’re a parent with an 8-year-old child, click on your preferred event below to register. You can register for a pair of tickets to each event (multiple dates available). Look out for our confirmation email within 3 working days upon successful registration. As tickets are limited and distributed on a first-come, first-served basis, do register early to avoid disappointment. Receive a FREE body composition analysis with your first 30-Day Fitness Class Pass! Enjoy access to a variety of fitness classes from as low as $79. 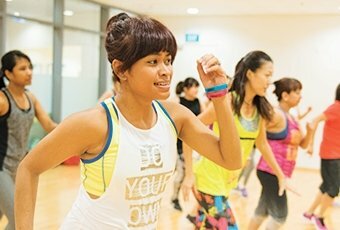 Whether it’s Zumba, Pilates or Functional Training Exercise, the more you move, the better you feel. 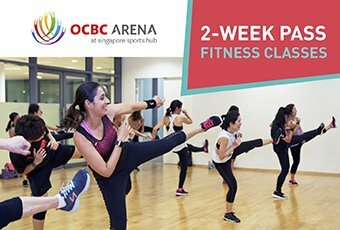 Hurry down to the Sports Hub Gym Counter (OCBC Arena, Level 2) today! *Individuals aged 55 and above, and individuals with special needs are eligible to enjoy concession rates.